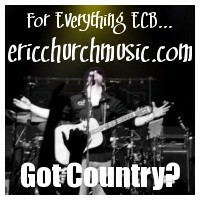 ERICCHURCHMUSIC.COM Wild Irish Rose: The 1st ECB Fan Site! Keep the number below growing! 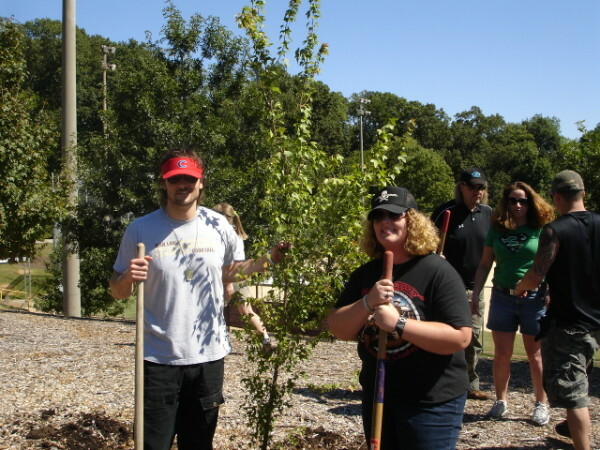 Click on 'E' FOTM to read more! 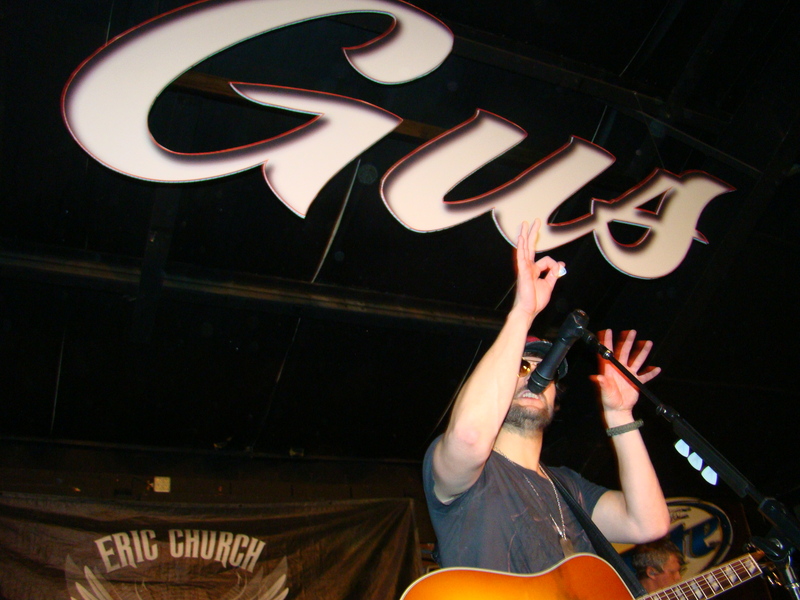 Keep Calling the radio stations and requesting Eric Church songs as much as possible. 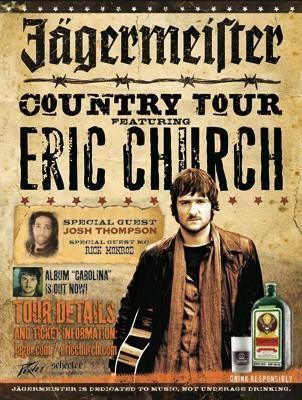 The New album from Eric Church. 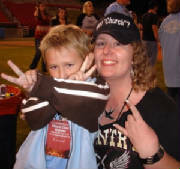 Does your Kid Love ERIC CHURCH??? 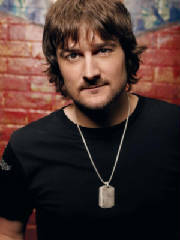 If your kid loves Eric Church Music then sign them up for the Jr. Choir and print them out a Jr. Choir Member Card! There are some ECB games and Coloring pages on the page to have some fun with plus pics and info about EC's Smallest ECB fanatics! Where "Sinners Like Me" Gather For "Church"! 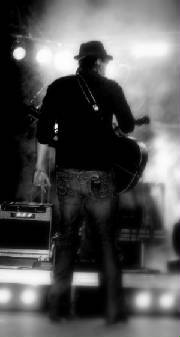 VOTE ERIC CHURCH ACM TOP NEW VOCALIST OF THE YEAR!!! Just click the PICTURE below to view Eric's ACM Video to see how to VOTE! 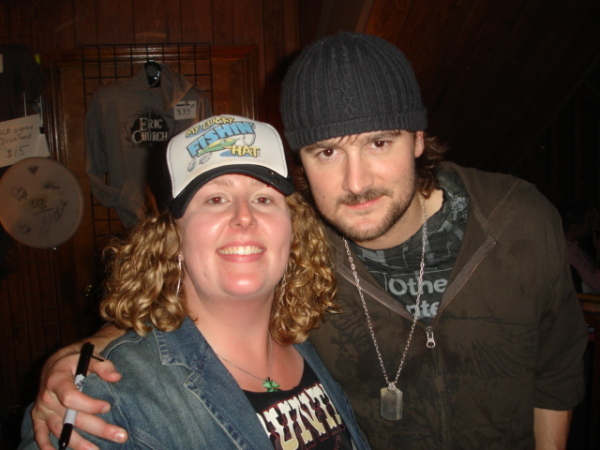 Eric Church fans want a "HAPPY ENDING!" Watch video and Vote EC ACM Top New Artist! The "Flat ECB" Mail Project Is Underway! To learn more visit The "Flat ECB" Mail Project page! 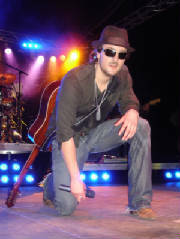 This Project is a fun way to promote and spread the Music of Eric Church around the world! Have fun! Awesome show near the Marine base in NC. Lots of dancing cowboys and loud military "hooorahs". About a thousand people cramed into Gus's warehouse for the show. People screamed the words to every song right back to EC. It was a wild night full of alcohol, fights, and even a few people passing out but well worth the almost 5 hour drive. The Dirt Drifters (my favorite current band) opened and got the crowd ready for the ECB! Awesome night and one hell of a weekend! 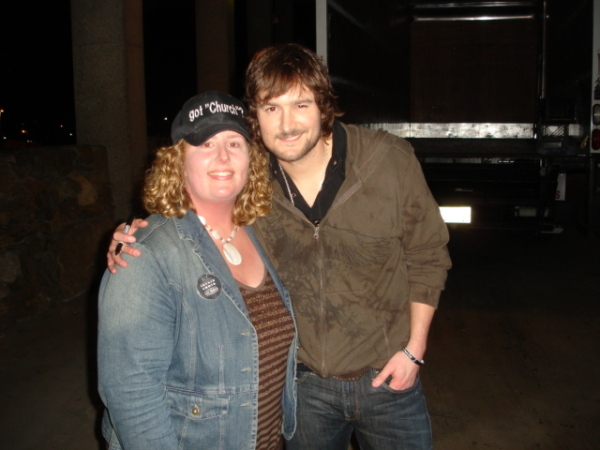 Eric Church on the Jagermeister Tour 2010! "Proud Member of the Church Choir"
Church Choir Kodak Moments: Click on an image to view the larger size. Join the Eric's Choir Today! Do you have a favorite pair of old boots, tore up jeans, or a skoal ring? If your a true country boy or girl then I bet you do! Lets see those pictures and hear your story on the "Boots, Blue jeans, and Skoal Rings" page. 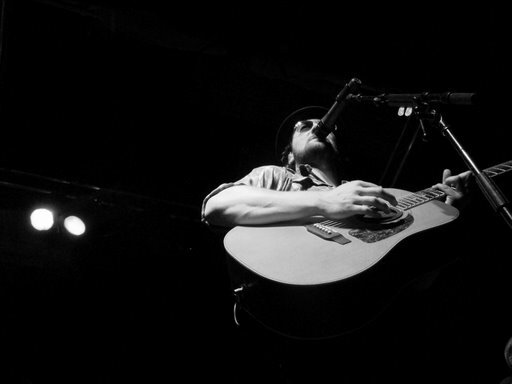 Seen Eric recently in concert? Did he sing a new cover song, say something memorable, or just rock the arena? Let me hear your concert reviews on the "Show Reviews Page". Don't forget to send your information for the "E" Fan File. Check to see how much you know about Eric and the ECB by sending in your Trivia answers each month for a cool prize! 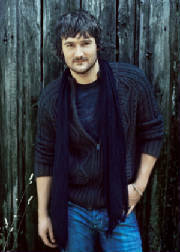 There is also a monthly Poll and Poll Results so you can see what other fans are saying about Eric Church! 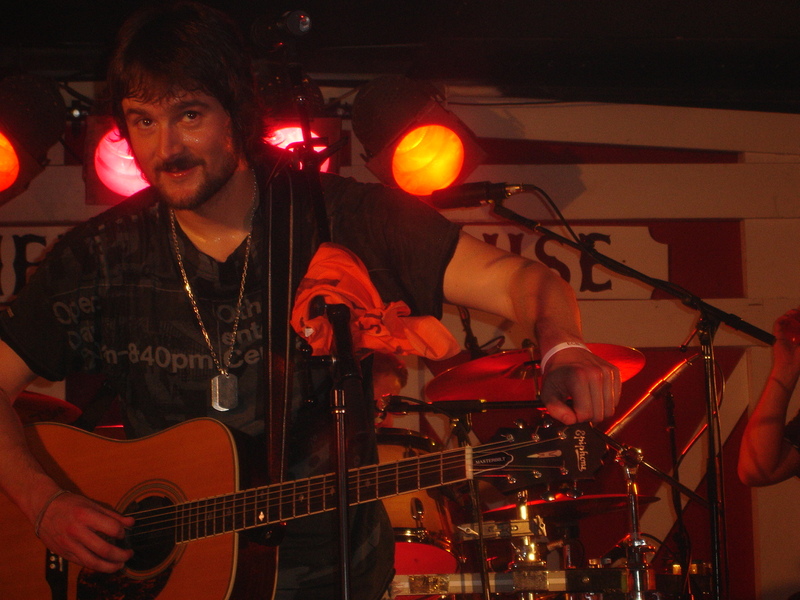 Welcome to Wild Irish Rose a fansite dedicated to NC Boy, Eric Church. I will continue to keep this page going strong but I need YOUR help! I love to build websites for my favorite musicians and Eric is quickly becoming a HUGE star who has an awesome old school country sound! I need Eric fans to send me pictures, show reviews, stories, news, and other info so that this will continue to be a great place to come when you are surfing the net for info on the ECB! Check out the photo gallery page for show albums filled with 100's of live ECB pics that I have taken and that you have sent in! Also, browse the thumbnails for up to date photos that I have found of EC on the net. Add yourself to the Map Below Before you Leave! First Eric Meeting and Show! 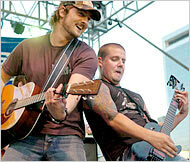 I saw Eric perform live for the first time on October 16th, 2006 at the North Carolina State Fair. I was on the front row and got some great pictures that you can view on the photos page. After the show a bunch of us waited for him out by the buses. He signed any and everything we asked for and posed for lots of pictures. What a great guy! He also talked with everyone individually and stayed until the last person was gone. Eric's homecoming show at Coyote Joe's in Charlotte, NC on Saturday April 14th 2007. Eric blew the top off of the joint! A 15 song set heated up the crowd of hundreds that chanted his name. I Met Big 'E' after the show once again and told him about this site...hope he checks it out. I also met a lot of true devoted fans of our boy! Eric's friends and family made up a good amount of the crowd. Good Times. The South Caldwell High School Show was an unbelieveable concert! The Chuch Choir took over the front row and was right there with Eric through every beat. The crowd of more that 4,000 chanted Eric's named right before he came on. It was a cool moment for all of us. There was a giant billboard promoting the show that you had to drive by on the highway coming into Granite Falls, NC (EC's Hometown). 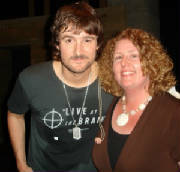 I met lots of new friends and afterwards we got to talk with Eric and the entire EC band. 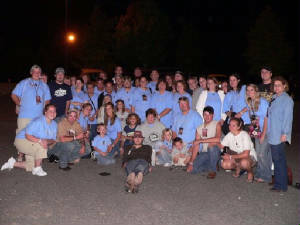 We had one of the best shows so far in Roanoke, VA on Thursday July 19th 2007. 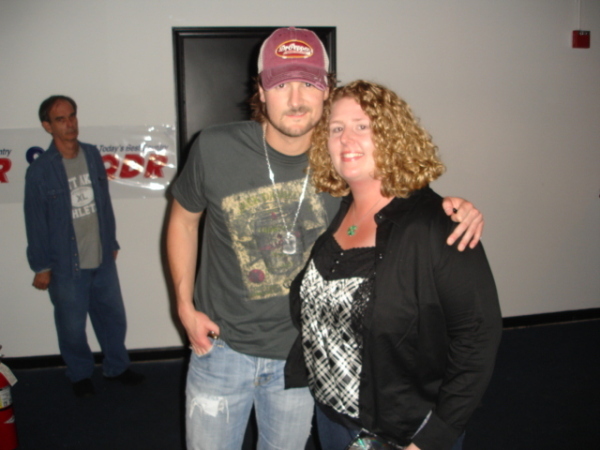 I met up with fellow Choir member Jennifer and we were front and center for an amazing Eric Church/Crossin Dixon show! We headed over to 202 Market Cafe for the after party and hung with the ECB and Crossin Dixon! Eric swapped hats with me for a picture and I let him keep a "got Church?" hat that I had made. It was good times all the way around in Virginia. We headed out on lake Norman with Eric aboard the Redneck yacht club on a Sunday afternoon in NC. It was a small crowd of about 100 and an acoustic set. A few members of the choir managed to score last minute tickets and then we let the good times roll! We took over the front row as Eric played and we sang along. It was a party barge as soon as the show started. 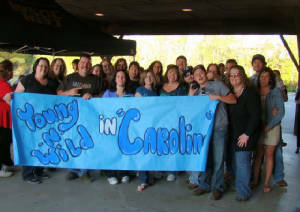 Thanks to WSOC fm 103.7 out of Charlotte for making it a boat trip that I will never forget. 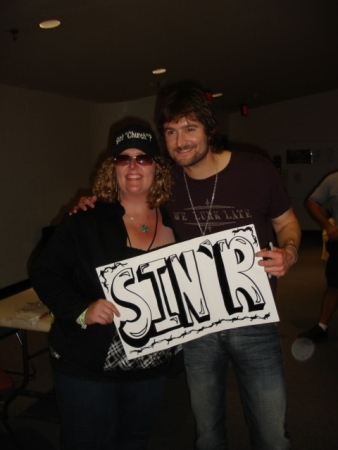 I finally got my first pre-show M&G in Raleigh, NC thanks to my buddy, Nicole! It was great because we had front row seats and I honestly believe it was the best show that I have seen Eric play. The ECB absolutely rocked the stage that night! The boys played new and old songs plus a few covers that the crowd in the smoky bar went crazy for! I don't think the audiance sat down or stopped screaming one time! It was a show that I will never forget! 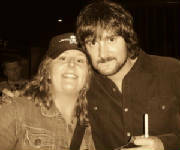 I went to see Eric and the guys open for Jason Aldean. It was the first show that I actually had a seat for. I was 10 rows back so the pics didn't turn out as well as I had hoped for but I had fun. The crowd sat down a lot of the time but the Choir stood throughout the ECB set which I think they appreciated! A M&G fell into my hands (Thanks B!) and we got to hop backstage and see Eric pre-show! It was a nice time but I had to head home right after Eric played so I didn't see how Jason did. My lucky fish'n hat caught me a keeper! Well words don't do this show justice! It was absolutely surreal! A bunch of choir members made the trip down to NC plus we met lots of new ones as well! We tailgated, drank, danced, laughed, and sang. 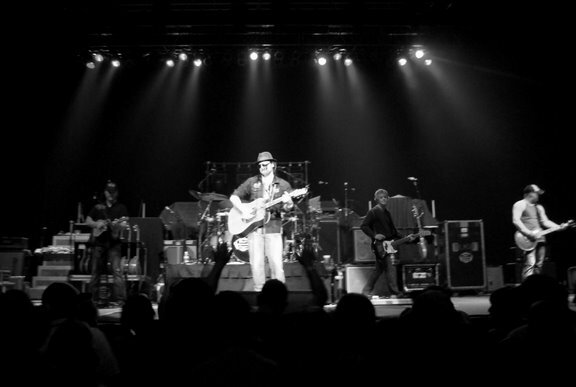 Eric and the band put on one of the best shows I've seen since Raleigh, NC and with Lee Brice and the Randy Rogers Band there opening it was a really awesome night. Eric stuck around for an after show M&G for the hometown crowd! I bolted out of work early and hit the road to Jacksonville NC for a Leap Year show with the ECB! We were a rowdy crowd in a small venue...just like old times! It was an amazing show filled with new material from the upcoming album, "Carolina" and when Eric sang the title track you couldn't help but be blown away! Ran into EC during the soundcheck and gave him a little something...in return I got "The Weight" by The Band played for me about half was through the set (ps: My fave song!). "Miss Lee this one is for you!" and WOW what a job the band did...Ed and Jeff rocked it...both with solos! Thanks for another incredible show!